Kathy - We got a referral last week of this older lady named Kathy who has gone through a lot from losing her mother and contention in the family. We were able to visit her a couple times the past two weeks, and there's always such a sweet spirit. We testified to her of God's plan for her and the comfort that comes through prayer. She came to church last week but, unfortunately, she fell and broke her toe and went to the emergency room on Friday so she wasn't able to make it to church this week :( Keep her in your prayers! Beraki - I mentioned a little bit about our investigator Beraki from Ethiopia last week, and since then we have met with him twice and he also came to church! 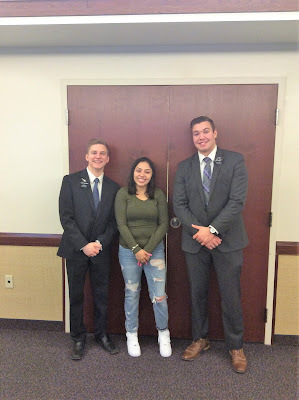 He has already read over half the Book of Mormon and we met with him on Thursday at the church and talked about repentance and baptism. One of his responses was, "If i joined this church, how be a benefit to the church, how can I serve?" It's so incredible to hear his story, his testimony of Christ, his passion for the scriptures, and his new found love for the Book of Mormon! God has definitely prepared his heart to receive our message. Every time we see him, he always lights up with a smile. 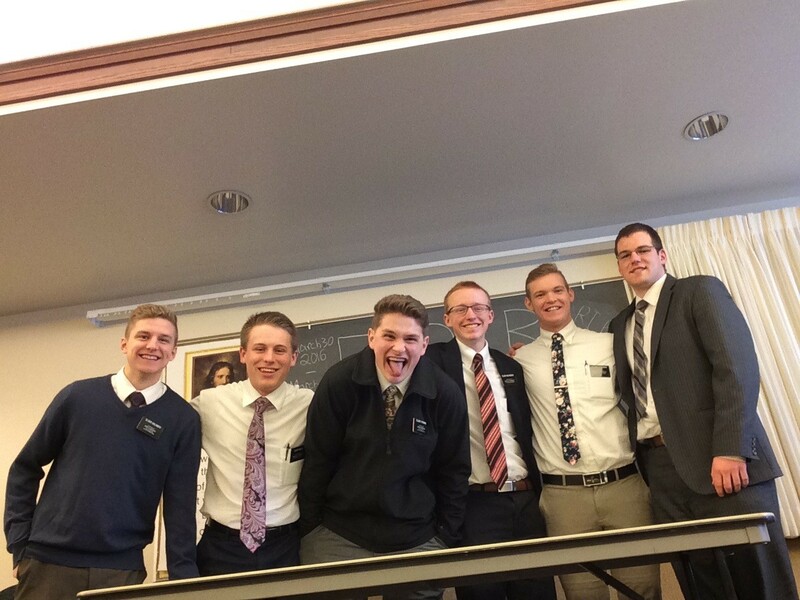 "Good to see you brothers!" He always calls us his teachers, "You are my elders which means you are my teachers." Man, I love him so much! Alana - The third and probably best highlight of the week was that Alana was baptized!! This week was pretty busy trying to coordinate everything for that, but it was such an amazing experience and I couldn't be more happy!😊 the spirit there was so powerful. She is pretty shy, so she told us she only wanted like 5 people there, but there were about 40! A member said to her, "You came to the wrong church if you’re looking for something other than a family!" I love the new Brighton ward, they are all amazing people and so supportive! Also! Her entire family came, which was super cool because to this point they hadn't really been involved, but they really enjoyed it. 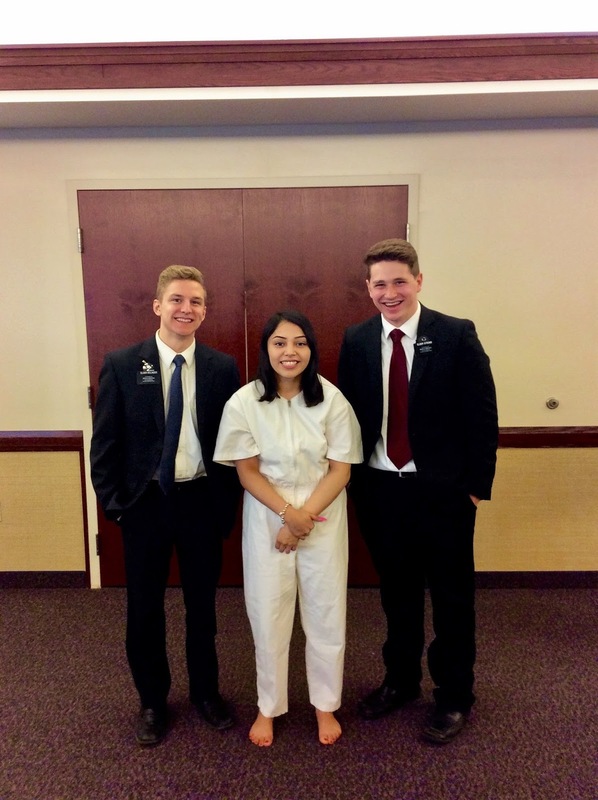 I was able to speak at the baptism and talk about the happiness we receive through the gift of the Holy Ghost. 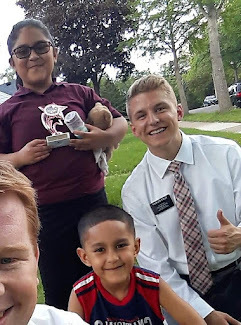 As missionaries, the two years away from our families, the years of saving up money to be out here, all of the hard work, it all pays off because our reward is to see the true joy that comes from the healing power of the gospel of Jesus Christ. Alana was just glowing she was so happy! In her testimony, she talked about how she used to have to drink and smoke to feel happiness but ultimately just felt empty, but now she's able to feel true joy by being clean! It was amazing to see her transformation through Christ! And I'm so glad I got to be a part of it 😊.